I have been teaching kids for many years and I always tell them it is okay to make mistakes. Failure can be redemptive if you fail forward. Moreover, kids are works in progress and many students who are immature sixth graders blossom into thoughtful and wise young people. My view of adults who make mistakes is different. There is a concept in Jewish law that people are presumed to be good, ethical human beings. The Ethics of the Fathers explicitly states that we should judge every man favorably. But what happens when someone continually violates your trust and disappoints you? Can a person lose his presumption of honesty and does that permit you to behave towards him in a different way? 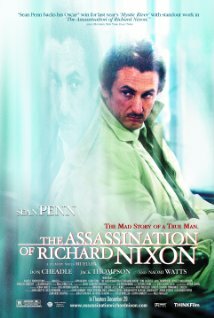 The Assassination of Richard Nixon is a character study of Samuel Bicke, an individual who makes many mistakes in life but who does not accept responsibility for them. He alienates all those who love him. His story raises the question of how long we should permit a person known to be dishonest or unreliable to cause us damage, either emotionally or financially. Samuel is psychologically damaged. He often gets angry when things do not go his way. Although he wants to reconcile with his ex-wife Marie, it is clear that she is uninterested and sees him as a loser. Sam also has left the employ of his brother for whom he was working in a successful tire company, complaining that his brother forced him to lie to customers about profit margins. In his despondency, Sam tries to join the Black Panthers, which he views as a societal change agent. His argument to the Black Panther leadership that he, although white, also suffers discrimination does not impress them. In his new job as a salesman at an office furniture store, his employer describes Richard Nixon as the ultimate salesman, able to win re-election by a wide margin in spite of lying to the American people about his promise to end the Vietnam War. His boss also gives Sam books to read to improve his salesmanship, books such as How to Win Friends and Influence People and The Power of Positive Thinking. Sam, however, is socially inept and no book can alter his tragic trajectory. The final blow arrives when Sam in desperation implicates his brother, Julius, in a fraudulent plot to steal tires from his brother’s supplier. In a mesmerizing conversation, Julius raises the issue of Sam’s moral integrity. When Sam waffles and does not fully accept responsibility for his actions, Julius washes his hands of his brother. Alone and dejected, Sam then plans to do something which in some way will validate his existence as an individual and which will influence and change the corrupt world as he perceives it. Observing the lamentable arc of Sam Bicke’s life, it is easy to understand why people reject him. He is needy, unreliable, and dishonest to others and to himself. The general obligation to judge everyone favorably in Jewish law applies to a person when we first meet him. But, if after several encounters, he demonstrates that he is unethical, then our obligation falls away. We are not required to judge him favorably once we have evidence to the contrary. Indeed, Jewish tradition advises us at the outset to judge others favorably. A righteous person, even in a compromising position, should certainly be given the benefit of the doubt. An average person as well should be given the benefit of the doubt and judged favorably. Even in a case where a negative perception may indicate guilt, one should still judge a person positively and certainly not speak negatively about him. However, a person who consistently behaves unethically should not be given the benefit of the doubt and should be judged unfavorably. Sam Bicke, once a good man, loses his presumption of integrity once he crosses an ethical red line. The Assassination of Richard Nixon tells his story but, more important, it describes the honest reactions of family and friends who understandably lose their trust in him.